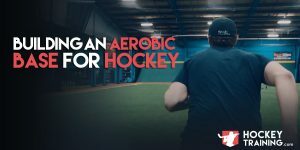 In a world where most people associate agility training by dancing the hokey-pokey with a ladder, it’s always a fun topic to discuss what agility truly is and how hockey athletes can train it off the ice. Agility is the combination of several physical qualities, but also several mental qualities. It’s easy to become consumed by the physical aspect of agility. That only makes sense right? We are physically moving, so it must just be physical prowess. But, there is a massive mental component to this as well. Mental agility can be compared to your ability to follow two different story lines or conversations at once. It’s your minds ability to use your vision, senses, focus, and attention span to read and interpret different environments. This is incredibly important as a hockey game is as unpredictable as it gets, it a matter of just a few seconds the entire pace, location, and handling of the puck can be entirely different. If you can’t read the environment, you have a mental block. And guess what? A mental block is a physical block. Reading the ice, being where the puck is going to be, and having the awareness about you to know your opponents likely pattern they are going to follow on the ice allows you to improve your agility (or appear more agile) through mental prowess. Not needing to elaborate too much here, because I know you know exactly what I’m going to say. Better yet, I know you have felt what I am going to explain. Everybody has had that game where they feel “in the zone”. The game’s where you’re reading the ice, putting the puck right on the tape of your fellow linemen, creating opportunities for your team, and scoring goals. These “in the zone” times are as much about confidence as they are about anything else. Instead of being worried about going in the corner, you’re diving in there first and making sure you have puck control. Instead of throwing blind passes and letting go of the puck too soon, you’re holding on to it and making things happen. In these moments when you’re in the zone, you can reflect back and realize you were in a state of euphoric confidence where nothing was going to prevent you from doing what you needed to do. This is what the best athletes have, this is real confidence. Moreover, the confidence to play your game will have an immeasurable effect on your agility beyond any exercise you can complete. Some athletes get confused when I coach them and I move in this speech from mental agility and mental confidence and finish with mental comfort. But it’s just as important because playing hockey without comfort is like playing hockey with one arm tied behind your back. I like to bring the example of you moving up in competition, let’s say this is the first year of you ever playing in the Juniors, but, for a different city than where you grew up/play hockey now. In this new city, you likely live in a new place, don’t have many friends yet, are unfamiliar with the environment of the city, new rink, new ice, new teammates, new grocery store, new gym….. This year, you may very likely not play your best hockey. Not because you got worse, but because of the dramatic change in your lifestyle and the new lack of comfort you have in your everyday routine. But, as one season passes with your new team you become familiar with all of the above aspects of your life and are now comfortable with all of these new factors that previously affected your performance negatively out on the ice. 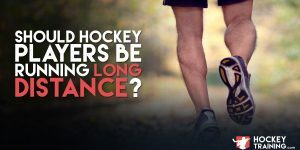 The following year, you may not have improved physically by any measurable degree, and yet play much better hockey and light up the scorecard way more than you did the previous year. This performance increase would result nearly exclusively from a change in mindset and athletic comfort as opposed to a physical characteristic change. Ever play for a coach you hate? Did you play to the best of your ability? Athletic comfort and performance have a relationship that can’t be ignored and will no doubt manifest itself in your agility. This becomes especially true as you become more comfortable with your teammates and learn to recognize their typical patterns so you can predict the game and take the correct courses of action more efficiently. Switching gears, agility absolutely has a huge physical component to it as well. There are plenty of limiting factors in the chain that can affect how agile an athlete is, and also allow you to determine what is going to be the best route of training stimulus that is going to get them from A to B in the agility world. You should be able to look at your athlete, or look at yourself, and give yourself a grade out of ten in each one of these categories. The two categories you score the lowest in are the two next priorities in your training block which are going to have the greatest “right now” positive effect on your agility. Once you have figured that out, it’s always impactful to incorporate one of my favorite methods for hockey agility, reactive training. Reactive training is incredibly beneficial for your development as an agile hockey athlete. Many agility drills currently in existence fail to relate to a game situation through one major flaw; it is a completely predicted movement. When you are executing a pre-determined movement, it’s towing the line pretty dangerously between the idea of speed vs. agility. If you already know what you’re doing, how is this true agility movement? Is anybody coming at me? There are a multitude of things in your brain all flying in at the same time (funny how that mental agility/confidence/comfort comes into every situation isn’t it?) that you have to be able to effectively and quickly respond to. Hockey is chaos, so a little chaos in your agility work will go a long ways. Instead of moving in a perfectly predictable fashion all the time (which never happens on the ice, unless you play for the Mighty Ducks and you have mastered the Flying V), try incorporating some reaction work that demands you respond to an unpredictable stimulus which is going to determine your route of movement. Since agility is both mental and physical, reactive training can become an effective tool as your mind has to be on point and alert to ensure your body executes the correct movement (and therefore, becomes truly agile in a chaotic environment). Agility is not just about direction change on the ice or on the ground, but how your brain performs the visual scanning, anticipation, pattern recognition, knowledge of the situation from past experiences, and reaction time before movement. All of this stimuli occurs once direction change has been made where you have a new line of sight, and this chaos/reaction should all be viewed right in there with the physical characteristics of complete hockey agility. This is where reactive training comes in and can be a great tool in addition to your already existing agility work, but now training both the mind and the body. Sprint and chase: Two athletes pair up and they are separated from each other by 5-15yds. They are both facing each other but the one in front is seated and the one in the back is in a 3-Point sprint stance.How it works is the seated athlete is to get up, turn around, and sprint 5-15yds, but, the moment he makes a move his partner can begin chasing him. The idea is for the seated athlete to be fast and agile enough to explode and turnaround from a seated position and beat his partner to the finish line. Lateral Mirror drill: Two athletes pair up and face each other, one is designated the leader and the other the follower. Two cones are set up 5-10yds apart and the leader is to move laterally back and forth as fast as he can while the follower has to react and follow him the best he can.10-30seconds of non-stop movement is followed up by 20-40secs rest in between rounds. 4-Corner point and touch: Four cones are placed in a square, Partner A stands in the middle of the square while Partner B points to which cone Partner A has to sprint to, touch, and then return to center. This is done for 20secs non-stop, with 40secs rest, for 5-rounds. Each partner performs 5 rounds. To wrap it up, athletes who have never done reactive agility work would benefit greatly from incorporating it into their routine from time to time based on need/importance/periodization schedule. In most cases most of the time, I like athletes performing this type of work immediately before their conditioning training. We do it before as trying to be reactive/explosive after a workout would negatively effect the reaction time of the athletes and ultimately lower their performance for this specific task. On the flip side, if this causes a little pre-fatigue before a conditioning session, that’s fine because they are performing conditioning work anyways which should be effectively training their body to continually create force production in a state of fatigue. We do it before as trying to be reactive/explosive after a workout would negatively effect the reaction time of the athletes and ultimately lower their performance for this specific task. On the flip side, if this causes a little pre-fatigue before a conditioning session, that’s fine because they are performing conditioning work anyways which should be effectively training their body to continually create force production in a state of fatigue. Reactive agility, 1-2x a week, most of the time it’s best to place this before your conditioning—now go get after it! 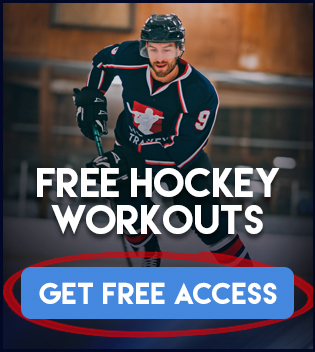 Want a hockey training program designed to make you a better hockey player? Check out our Hockey Training Programs page to find one that best suits you!